Following a couple of requests, I’m publishing the text from my RSA lecture ‘The True Cost of Economics’ (13 February 2014). It is fitting, in a lecture that goes under the banner of twenty-first century enlightenment, to begin with Adam Smith. For it was Smith, philosopher, man of letters, economist, and pillar of the eighteenth-century Enlightenment, who breathed life into the idea of self-interest as a motivating force in society. In The Wealth of Nations, published in 1776, he argued that man had a ‘propensity to truck, barter, and exchange’. He told us it was the self-interest of the baker, brewer and butcher that would provide our supper, and that mankind was distinguished from the beasts, not by the gift of stewardship over the earth, nor through being made in God’s image, but in our ability to exchange. Adam Smith’s name regained prominence in the 1980s as the champion of free markets, the classical economist who first pointed out the ‘invisible hand’ of the market, which became the best, if not the only, justification for notions like the trickle-down effect: the idea that a healthy market will, left to its own devices, self-regulate and turn competing self-interests into wealth for all. Those free market evangelists of the twentieth century took Smith’s name in vain: he is less advocating untrammelled self-interest, than making a theological point about the immanence of divine intention in nature, and therefore in the world. None other than the philosopher Immanuel Kant argued that nature intended mankind to be productive and wealthy, and will ensure that a productive, wealthy world is the best of all places. For the Enlightenment thinkers it was nature, not scripture, that offered mankind comprehension of the Divine; the laws of heaven were written into the laws of nature, and thus into the wonderful, ineffable operations of the market. In the nineteenth century, economics took on the shape of mathematics. Inspired by the heat equations of physics, the so-called marginalist revolutionaries argued that the diminishing marginal utility of a good could be calculated arithmetically. So the stage was set for modern economics when, in 1932, Lionel Robbins – head of the economics department the LSE –dreamed of an economics that could offer a single, unified theory of human action. 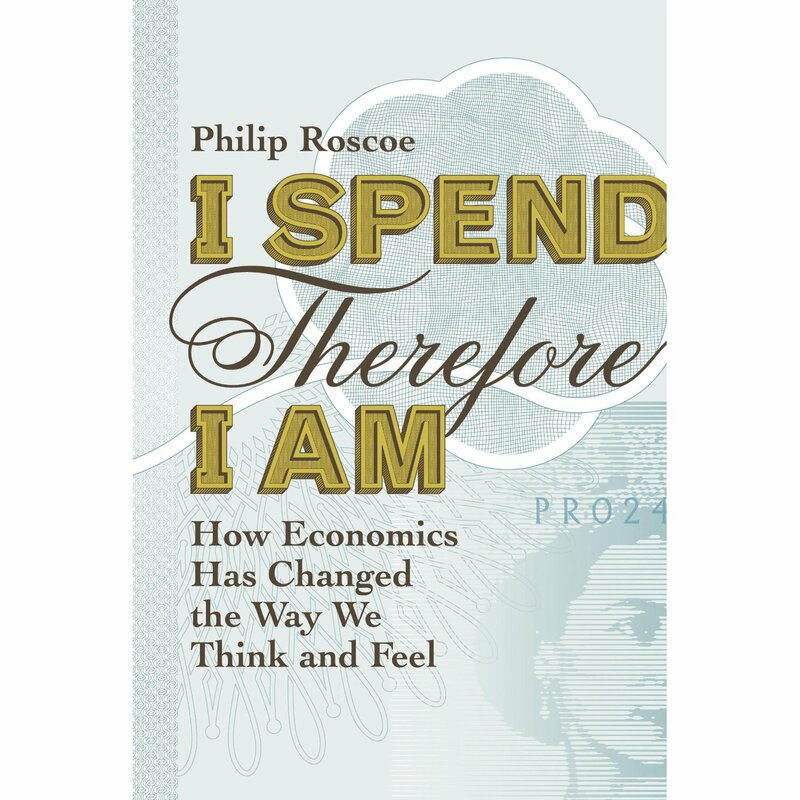 Economics, he wrote, is ‘the science which studies human behaviour as a relationship between ends and scarce means which have alternative uses’. Such ‘ends’ might involve work and leisure, or sustenance and sleep. What matters is that all are purchased with time, and most with labour, and mankind does not have a sufficiency of either. To my mind, there is something theological about any universal explanation, and Robbins’ economics is no different. We have, as he noted, been turned out of Paradise. It seems that economics is the theology of postlapsarian man: in the work of the formidable contemporary philosopher Daniel Dennett we see cost benefit analysis elevated to ‘a general principle of practical reasoning’ through which evolution operates, as life-forms compare costs and benefits of one action with another. In Dennett’s work, or in the wave of popular books explaining the world around us in terms of cost-benefit trade-offs, economics offers no less than the meaning of life. By this account we are all entrepreneurs of ourselves. We must understand every aspect of our person as a future revenue stream. When deciding to work, or to rest we weigh up the costs and benefits of each action. Our decision to invest in ourselves, by education or a gym subscription or even cosmetic surgical enhancements – must be based purely on our estimate of the future returns available on that investment; we become a productive machine, valued in the same way as any other business asset. Our decisions, choices and life plans become factors in a perpetual cost–benefit analysis that we must focus upon ourselves. The 18th century Enlightenment succeeded in throwing off the weight of religion, it is true, but as this rational, calculating agent becomes the centrepiece of policy endeavour and private action it seems to me that we have found ourselves another master. Now, none of this would matter, were economics no more than a manner of speaking or mode of analysis. But economic ways of thinking leak into the real world, through the way we talk and through the tools that we use. Often, we simply do not notice that we are being economic. The complexity of our modern world forces us to rely upon a multitude of devices that do the economic work for us. In the supermarket a multitude of competing claims – quality, taste, affect, even the circumstances of production – are rendered down to a simple label, specifying what counts, and what does not. Of course, the voice that shouts loudest from the label is that of cost, and we must trade it off against all other concerns. Dealing with intensive farming, for example, or indentured labour is no longer a matter of moral outrage – thou shalt not buy this– but a fine, graduated consumer choice. Supermarkets offer established hierarchies of labelling where improvements in the quality of husbandry, or of a living wage, are reflected in increasing prices. Consumers are free to establish the cost of their own conscience. In the supermarket, even moral virtue has an economic dynamic. The last three decades have seen whole sections of our society recast as economic, and their participants as entrepreneurial, rational economic agents. Take higher education. Twenty-something years ago, when I was a student, university fees and maintenance were paid by the government, on the presumption that educated citizens are better citizens. Now, of course, students must borrow to pay fees and to support themselves; the justification being that they, and only they, will reap the benefits and must therefore shoulder the costs. This dogma of higher education planning is self-evidently false. We all benefit from good teachers, nurses, civil servants, research scientists, chaplains, bureaucrats, administrators, town planners, sports coaches and so forth, all of whom have received a university education and many of whom will be hard pressed to recoup the fees and living costs that they have incurred. And those are the lucky ones who actually secure a job on graduation. That’s an aside. What matters are the consequences of such a change. These fees are just one part of a broader repackaging of education as a saleable good, a corporate export industry. The argument is clear: making students into consumers will somehow make universities better. It will also, as any leftish critic will point out, open up huge swathes of virgin territory as profit opportunities for service firms and the holders of capital. If students have to pay fees, we are told, a market will spontaneously arise, as universities compete with one another for ‘customers’. Access to higher education will be determined by individuals’ own assessment of their talent and possibilities, expressed in the willingness to borrow and pay their fees; all that matters will be the eventual combinatory effect of intellect and degree quality on the student’s earning power. This degree quality will be signalled by visible indicators, such as school rankings, and (this is important, but not obviously, empirically true) lower-quality institutions will charge lower fees. In other words, the market for higher education will come to resemble one envisaged in the opening pages of an economics textbook. At the centre of this network sits the rational student consumer, processing information, studying lists and rankings, calculating the trade-off between course cost and predicted salary uplift. Yet none of this is expected to devalue, or even change, the central task of the university: education. How can that be the case? Look at the moves to be made. First of all, quality must be made visible. Beyond the ubiquitous student experience surveys – and note that ‘student experience’ carries a subtle repositioning of education as some kind of experiential commodity, like a safari or an adventure day in a hot-air balloon – universities are subjected to all kinds of other assessment. If administrators are worrying about branding, architecture and visible facilities, then there is a real danger, especially in institutions where funds are short and institutional positioning is precarious, that these things will draw money from less visible – less immediately accountable – purposes, such as teaching and teaching support. Accreditation by professional bodies, driven by a desire to offer students more workplace-relevant qualifications, places demands on institutions and may reshape their curricula and hiring strategies. Subjected to constant surveillance in research and teaching, faculty will play safe, offering conservative scholarship and low-risk traditional teaching. And who can blame them, with their jobs on the line if they fail to deliver good publications and systematically reach high teaching feedback scores? Where an academic career is reduced to the attainment of ranked publications and nothing more, it is inevitable that those academics prepared to play the game will abandon long-term attachments and circulate in the market, moving from institution to institution in pursuit of higher salaries. The losers, of course, are their students. Perhaps this is where we need a little enlightenment of our own. How is the good life to be lived? What is the basis of virtue? For Smith and his colleagues, reason trumped superstition and learning triumphed over ignorance. Quite right. But they left much unstated. Indeed, the Enlightenment thinkers inherited a respect for the hierarchy of family, civic institutions and the state. Apologists for Smith argue that self-interest is a broad term that includes the interests of family and local community; certainly it seems the case that Smith’s idea of self-interest is not the narrow, calculative meanness that characterizes twentieth-century economic man. The reverse: Smith believed that sympathy for one’s fellow was the basis of ethical behaviour. In more modern terms we might say that the basis of the good life is relational: that it is achieved in partnership with others. We hear this not just from philosophers, but also from psychologists, from those who study relationships and public health. All agree that more wealth does not equal more happiness, and that isolation and loneliness are as destructive to our well-being as friendship and company are beneficial. Why then the obsession with rational economic choice in our public discourse, when it is distinguished by selfishness and isolation, those very characteristics that are so corrosive to us as persons? We can already see the consequences in higher education. When students are recast as customers they start acting like customers. But often they do not see that there are different kinds of customers; that buying groceries from the supermarket is a profoundly different transaction from embarking upon a process of education that requires them to participate to the limits of their ability, imagination and emotional reserve. Many students see education as a set of targets, of boxes to tick, of work carried out at a particular level that will result in a qualification of a certain kind, where the student has simply to consume and regurgitate pre-digested chunks of knowledge. Students will choose modules that they perceive as easy, in order to get higher grades, which are worth more in the purely external sense of better employment offers and better salaries. Study becomes about memorizing and reproducing, while the higher-order pedagogic goals of synthesizing, critiquing and evaluating are pushed aside. These are the skills we really need our young people to have, that are more useful and more worthwhile to the students themselves in any context beyond the shortest of short term. Not all enlightenment thinkers shared Smith and Kant’s vision of doux commerce. In 1786 an Anglican cleric named Joseph Townsend enjoyed a temporary fame when he published his Dissertation on the Poor Laws (subtitled By a well-wisher to mankind) in which he campaigned for the abolition of welfare measures. Invoking notions of natural balance and order, Townsend tells a parable of goats and dogs, set in Robinson Crusoe’s island in the Pacific Ocean. According to Townsend, a handful of goats landed by a Spanish sailor, Juan Fernández, as a self-sustaining supply of food for future visits had come to be a reliable source of sustenance for the English privateers who preyed on Spanish shipping. The Spaniards retaliated and introduced a pair of dogs, greyhounds, which ran wild, multiplied and decimated the goats. The remaining goats learned to stay on the cliffs, out of reach of the dogs, and, according to Townsend, a ‘new kind of balance was established’; the agile, energetic goats and dogs survived while the lazy are left to suffer the natural consequence of their indolence’. Townsend concluded: ‘Hunger will tame the fiercest animals, it will teach decency and civility, obedience and subjection, to the most brutish, the most obstinate and the most perverse.’ Perhaps that is what we see in students: imaginative, enthusiastic, good-hearted, even fierce young people domesticated and tamed by the burden of debt. Townsend and his ilk prevailed over the believers in sweet commerce. The nineteenth-century economy emerged through the abolition of assistance for the poor, the construction of robust property rights over land and capital, together with the technological and organizational innovations of the Industrial Revolution – machines, fearsome engines, factories and dark Satanic mills. It relied upon the displacement and near starvation of an entire agrarian population, transforming a rural peasantry into a source of industrial labour. Now that all goods and products are organized for sale and purchase only through the market a new creature of enlightenment is born: homo oeconomics, driven by self-interest, abstracted from bonds of family, church and state, endlessly seeking efficiency in the face of universal scarcity bought about by the market-based exchangeability of all things. This economic man or woman, is no universal phenomenon, but, in the words of prominent anthropologist George Dalton, a succinct expression of institutional fact. We encounter it in specific situations, mediated and constructed by the material devices that it must use to navigate the complexities of our modern world – what the French sociologist Michel Callon calls the prostheses of economic action. The student choosing carefully on the basis of course rankings, satisfaction scores and projected salary is one such. The hospital administrator choosing between treatments on the basis of their ability to deliver quality adjusted life years per pound spent, is another. It’s valentines day tomorrow, so you will be pleased to hear that economic agency even reaches affairs of the heart, in the online dater, the ‘cyborg dater’ – the instrumentally rational, maximising amalgam of lonely heart and online database. Let me give you a particular example. Many online dating sites allow users to search for potential partners using a mechanism that will be familiar to anyone who has ever used the Internet to search for a second-hand car or a house. These interfaces offer a detailed menu of choices, allowing users to select partner attributes such as age, height, type of figure, hair length, hair colour, interests, marital status, ethnic origin, religion, education, children, and where you stand on drinking and smoking. I am not, by the way, betraying any prejudices when I list hair length and colour before education – that’s how they appear on the screen, and, I suspect, a suggestion of their perceived importance. At the top of the screen, a counter lists the availability of matches. It tumbles downwards as you design your perfect partner online, until eventually, you must trade off desired characteristics and scarcity. Perhaps I’m taking this too seriously. Perhaps it’s all a bit of a laugh. But how does a user behave when presented with such an interface? There is no alternative but to try to maximize one’s preferences in searching for a potential partner. We seek the best that we can get from the available supply, making decisions as to the relative merits of available attributes. For the moment, I don’t want to go into the complexities of online matching or even open up the discussion of whether or not we are actually able to choose partners online. The important thing is to recognize that a kind of economic behaviour has been brought into being through the use of a technical interface. The user, in combination with the dating website, has become the individual economic agent, the instrumentally rational, maximizing actor of economic theory. A cyborg dater. This is where enlightenment has brought us: from the sweet commerce and peaceful visions of Smith, through the unsympathetic competition of Townsend and Bentham, and the universal economics of the twentieth century, to the triumph of a certain kind of profit seeking rationality in all areas of our world, and even in our own hearts. We have become economic men and women, and our society is governed and organized by the maxims of self interest and competition. That, I suggest, is the true cost of economics. We do indeed need a new enlightenment. One that recognises that the good life is lived in relationship, through giving, through caring and empathy. We need to guard ourselves against the casual solipsism of economic language, or the habitual uses of the economic prostheses that structure our daily interactions. We need to get offline, out of the office; to recognize that even waste and inefficiency may play their part in a life lived to the full. In the case of romance, not every relationship has to be perfect, nor does every partner have to be just right for you, right now. Risks, dead ends and failures contribute much to who we are. Arduous though it may seem, the fact that the process of finding a partner is not straightforward, and that some effort may be required on both sides, may itself be enlightening. Indeed, the whole dance might even be fun. We need to learn to question economic justifications when we are handed them in policy, at work or at home: asking who benefits, and whether more efficient means fairer, more responsible, more just. We need to sustain those institutions based on altruism and challenge those driven by profit. We should learn to find time, to mess around, to do things for others or simply for their own sake. We need to rediscover amazement: to step over our world-weary, cynical selves, and to be childlike once more. You may by now be wondering why a scholar of organization is speaking in whimsical terms about happiness and the goods of life. Should he not step aside, and leave such matters to the experts: philosophers, priests, and columnists for the daily Mail? Yet it seems to me that much of our access to the good life is contingent on how we organize. We can organize for misery, that is for sure – the engines and mills of the industrial revolution make that much clear – but we can organize for good things too – creativity, empowerment, equality and participation. Moreover, there is an iterative relationship between self and society. Our social arrangements change our persons, and our understanding of ourselves feeds back into our social arrangements. A society filled by economic men and women becomes ever more economic; within it homo oeconomicus proliferates. When the problems we face – be they climate change or the distribution of prosperity closer to home – are exactly those requiring collective action, and of necessity some degree of sacrifice, the economic agent becomes a major barrier to action. In Isak Dinesen’s short story, Babette, former chef at the finest restaurant in Paris and exiled revolutionary communard, finds herself housekeeper at the residence of two sisters in Norway. These women live a simple life; they are the daughters of a dour, Lutheran cleric who had formed a small ascetic community on the coast. Babette tells them nothing of her past. After many years she wins the prize in a Paris lottery, and 10,000 francs arrives. She asks the favour of her employers, that she might be allowed to prepare and provide one single meal in honour of the Dean’s anniversary, and they agree, worried though they are about the sinful excesses of Parisian cuisine. After weeks of preparations, the night comes, and Babette produces a feast that has consumed her entire prize. Only one guest, the general who has lived and travelled the world, recognizes the exquisite food. Babette is an artist, and the general is her audience; through being allowed, just once, to show true excellence, to do her utmost, she is complete. The food transfigures the guests. Even though they do not know what they are eating, tongues are loosened, old, bitter differences are made up, and childhood sweethearts reconciled. The tipsy elders stagger home through the snow, their sins washed white as wool. They had, Dinesen writes, been given ‘one hour of the millennium’. One hour of Paradise: when has economics ever achieved such transformation? Perhaps we should abandon economics altogether. We should not economize on love, care, or even art. Altruism and civic virtue, love and care grow through exercise, and are not scarce resources to be economized. Even waste may play its part: the spectacular excess of Babette’s feast bestows an hour of bliss upon a community, healing and mending. A life lived well, to the full, will be replete with dead ends, about turns, experiments and chances, far richer than a neat parade of rational, calculative choices. I would contend that economics has little place in our personal lives: let them be bounteous, generous and overflowing, and be richer for it. Fresh back from a short trip to Toronto, 23-26 February, courtesy of my incredibly hospitable publishers Random House Canada and the Rotman School of Business, University of Toronto. Thank you to all for making me so at home. Here’s the cover of the Canadian book, available here. On 13 February 2014 I had the honour of giving a lecture at the RSA (Royal Society of Arts) in London on ‘The True Cost of Economics’. You can find audio podcasts, including the Q&A, and downloadable video on the RSA’s website. 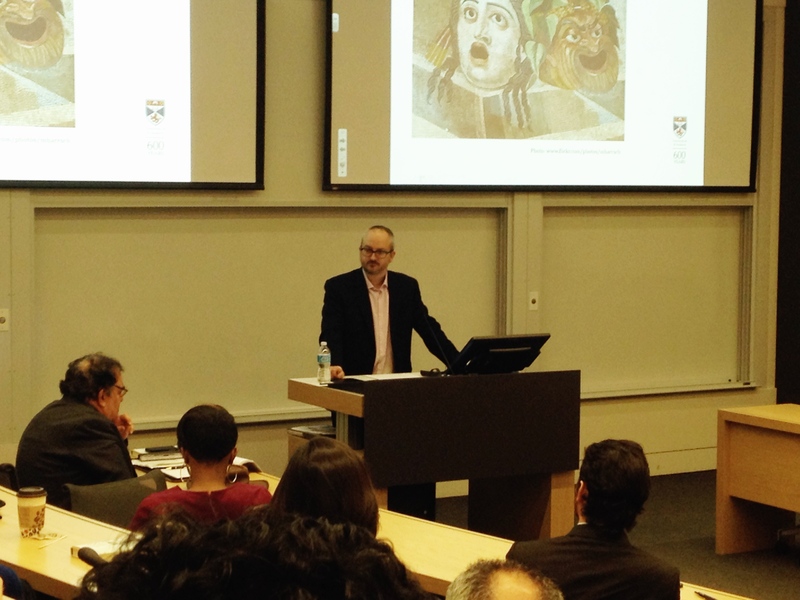 On 11 February I gave a lecture at the LSE, in the splendid Hong Kong lecture theatre. It was part of the public lecture series and quite an honour to be listed in the same programme as some of the great lights of global social science. I chose the provocative title ‘Economics, the enemy?’ and the hall was packed – yes, they were turning people away at the door. The podcast is now available, and you can listen to it here. As you can hear that quite clearly in the recording it was a tough audience, but the questions were excellent and I had some good feedback afterwards. There’s something exciting on page 19 of the LSE’s public lecture calendar: on 11 February I’m giving a lecture called ‘Economics, the enemy?’ It starts at 6.30pm in the Hong Kong theatre, Clement House. No ticket is needed, and full details are available on the LSE page. I’m also giving a talk at the RSA on ‘The True Cost of Economics’ , so If you’re in London on 13 February, and fancy some intellectual stimulation at lunchtime then come along to 8 John Adam Street, London, WC2N 6EZ. I hope you will be provoked as well as entertained! Details and booking via RSA events here.